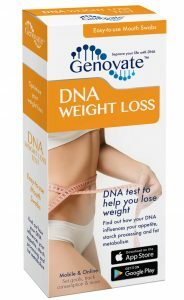 Home Lifestyle Weight Loss Did you know DNA influences your satiety? Did you know DNA influences your satiety? Overeating, it should be dubbed the bane of our existence. Our ability to control how much we eat is one of the things we struggle with the most in the Western world. The rising rate of obesity and a weight-loss industry that is worth over 60 billion dollars can attest to this struggle. Why is it that 95% of us will fail our first attempt to diet? The answer is complicated. Many factors are involved in the tendency to overeat. Some of us eat more when we are stressed, others succumb to peer pressure easily. We eat more when we are distracted by the TV, or by a live band, because we forget to pay attention to how much we’re eating. Or you could be one of those ill-fated people with genes that rebel against restrained eating. Two genes, called FTO and SH2B1, are linked to appetite, food intake, energy expenditure, and most of all, the risk of obesity. Our feelings of hunger and satiety (feeling full), are controlled by two hormones, leptin and ghrelin. Hormones are chemical messengers made by the body. They control many of our physiological responses like digestion, circulation and even our mood. Both ghrelin and leptin act on a region of our brain known as the hypothalamus. When the stomach is empty, cells in the intestine make the “hunger hormone” ghrelin, prompting us to eat. When the body has acquired enough energy, the fat cells release the “satiety hormone” leptin. Leptin takes away the feeling of hunger and protects us from overeating. So, if a person makes extra ghrelin, (e.g. during times of stress), they tend to eat more. The same is true if a person can’t make enough leptin, or stops responding to leptin. This is why obesity is the ultimate consequence of disrupting the balance between ghrelin and leptin. The FTO gene makes the fat mass and obesity-associated protein (FTO). 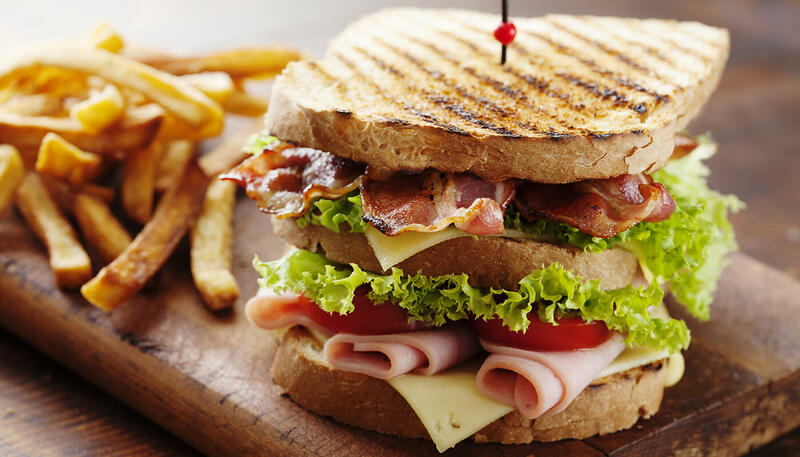 This protein affects the balance between hunger and satiety by altering ghrelin levels. Some of us carry slightly different versions (variants) of the FTO gene. People with the risk variants make more of the FTO protein, which elevates the levels of ghrelin. This increase in the hunger hormone explains why people with the altered version of FTO eat more, and don’t feel as full after a meal. The inability to achieve satiety could also be partly due to changes in the way we perceive food. Studies show that when people with one of the risk variants (rs9939609) looked at pictures of food, regions of their brains controlling appetite, impulse and reward processing, responded differently. Like FTO, the SH2B1 gene also influences satiety. The SH2B1 gene encodes a protein that affects the sensitivity of leptin. The rs7498665 variant of SH2B1 is linked to higher body mass indices. People with this version of the gene have more leptin in their blood. Why people with more leptin, which should curb overeating, are more likely to be obese may appear contradictory. However, these people fail to detect the hormone properly to initiate satiety signals. This inability to respond to leptin is known as “leptin resistance”. Studies show that when mice do not have SH2B1, their ability to activate leptin-induced satiety signals is severely impaired. These mice are obese and have an abnormally increased appetite. So it is possible that rs7498665 somehow alters the function of SH2B1, leading to diminished satiety signals from leptin. Ultimately increasing the risk of obesity. Are you more likely to overeat? Going out for a meal certainly sounds easy, but our eating behaviors are anything but simple. It’s nearly impossible to control the social and psychological factors associated with what, when, or how much we eat. 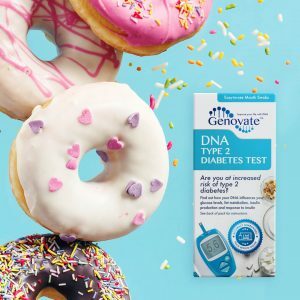 But knowing that you carry a genetic propensity to overeat just might be the empowerment you need to stop from eating yourself to an early grave. 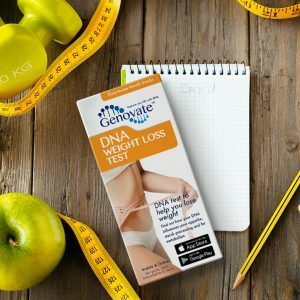 Find out if you have the FTO or SH2B1 variants with the DNA Weight Loss Test. 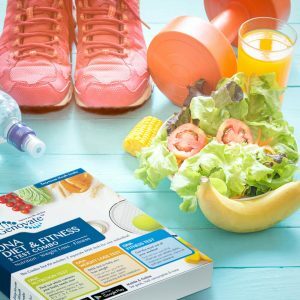 Previous articleDid you know DNA can make you snack more often? Next articleDid you know DNA influences your likelihood of age spots?